“It’s outgrowing our wildest expectations,” LabCentral’s cofounder, Johannes Fruehauf, said of the incubator’s success. How hot is the world of biotech startups in Cambridge? LabCentral, a four-year-old nonprofit that leases shared laboratory space to fledgling companies, plans to announce Thursday that it is expanding yet again. The incubator started with 28,000 square feet on the ground floor of 700 Main St. In June, it said it was more than doubling capacity by renovating an additional 42,000 square feet in the building. Now it plans to rent out an additional 33,000 square feet next door on the third floor of Pfizer’s Kendall Square Worldwide Research and Development building. Both properties are owned by MIT. 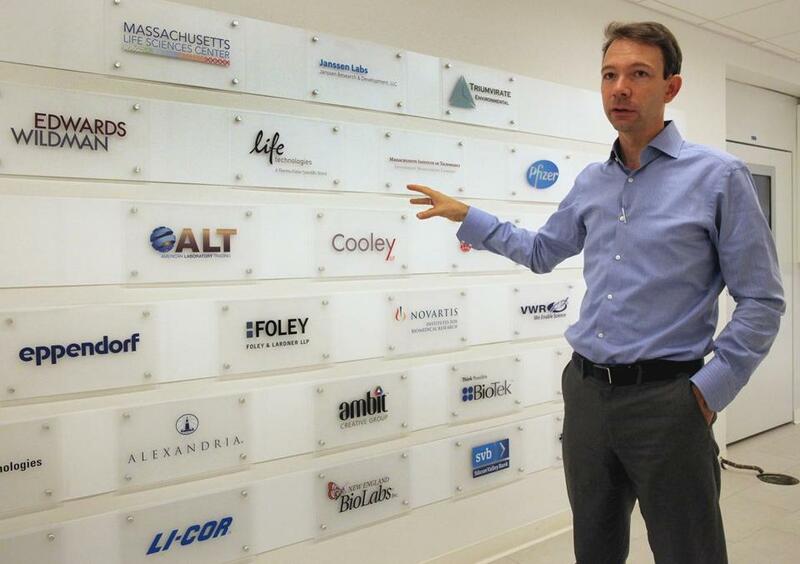 LabCentral currently houses 32 startups, each with between one and 12 employees. The incubator could house up to 90 firms in two years, filling a total of 103,000 square feet in both buildings, Fruehauf said. Pfizer is the anchor tenant in the second building and plans to sublease space to LabCentral for six early- to mid-stage companies, each with up to 45 employees, Fruehauf said. Three biotechs that have outgrown the first building have been accepted in the second: Affinivax, EnBiotix, and Aquinnah Pharmaceuticals. Tenants pay rent to LabCentral, but not by the square foot. LabCentral leases a laboratory bench at $4,000 a month to each startup employee or fully furnished laboratories at $16,000 a month. The relative affordability of the space is only one of the attractions. Tenants also get to schmooze with other entrepreneurs in the labs and at local restaurants and learn about the similar challenges they face doing research, hiring employees, and raising money. “Working within LabCentral’s vibrant shared community has been vital to our success to date,” said Steven Brugger, president and chief executive of Affinivax, which is developing vaccines. Representatives of Pfizer and LabCentral serve on a committee that picks tenants.